The Peace Implementation Council Steering Board (PIC SB) held on Tuesday a special session to discuss the recent announcement that the name of one entity might be challenged in front of the BiH Constitutional Court, as well as statements threatening the secession of one of the entities, and the declaration adopted by the Croat People’s Assembly on 26 January 2019. Last week, highest representatives of Party of the Democratic Action (SDA), the biggest Bosniak party in BiH, announced that they will resort to the BiH Constitutional Court and will demand the abolishment of the Republika Srpska name as it refers on just one nation. 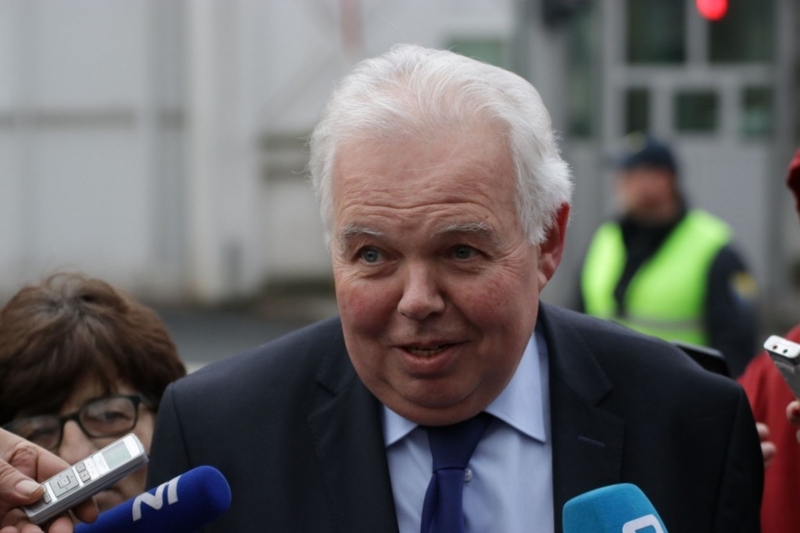 Russian Ambassador to BiH, Peter Ivancov (photo), demanded that PIC SB holds a session to discuss the demand as an act against the Dayton Peace Agreement. Serb politicians, BiH Presidency Chairman Milorad Dodik especially, threaten with the secession of Republika Srpska if the SDA demand reaches the Court. The PIC SB has issued a joint statement, but Ivancov did not support it. He said that the text of the statement is not focused on the actual problems. “Instead, it speaks of the mistakes of all politicians in BiH. The result is the conclusion that everyone is and no one is guilty”, Ivancov said. He added that the SDA’s initiative to the Constitutional Court is a big mistake because it caused instability and decreased the level of trust among the nations in BiH. In the official statement, PIC SB said that the ambassadors “recognize that there are legitimate concerns with regard to the discrimination of constituent peoples and citizens across BiH that should be properly addressed”. “An initiative to challenge the name of Republika Srpska in front of the Constitutional Court of BiH would be counterproductive and irresponsible, as the names of the Entities are enshrined in the BiH Constitution. Such initiatives undercut the building of trust among constituent peoples and their political representatives as a basis for much needed reconciliation in BiH”, PIC SB says. The joint statement recalled that the Constitution of Bosnia and Herzegovina recognizes that Bosnia and Herzegovina consists of two entities, the Federation of Bosnia and Herzegovina and Republika Srpska. “The PIC SB has repeatedly expressed its commitment to the territorial integrity and fundamental structure of BiH as a single, sovereign state comprising two entities and that there will be no redrawing of the map of BiH. In this context, the PIC SB strongly condemned recent rhetoric and actions that question the sovereignty and territorial integrity of BiH or demand the territorial reorganization of the country, and thus create tensions over fundamental aspects of the Dayton Peace Accords”, PIC SB points put.